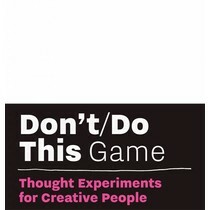 This game stimulates creativity through limitation. 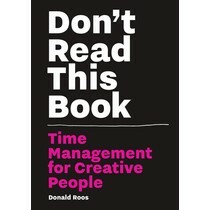 It picks up where Don't Read This Book - Time Management for Creative People leaves off. 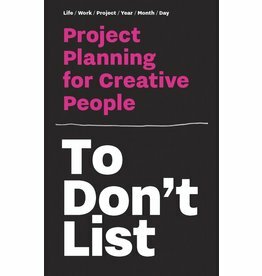 Don’t Read This Book focuses on how to make choices about everything you do in your daily life and workplace. The book is packed with advice, models and exercises on time management. Do less instead of more. With this project planner it has never been so easy to focus on your goals. 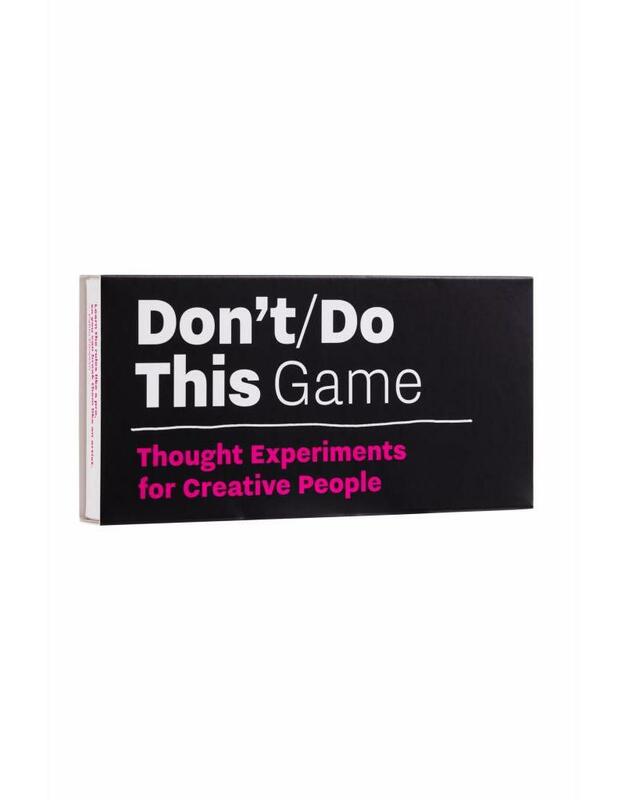 Whatever kind of creative person you are, this thought experiment game will get you out of your comfort zone. How? It stimulates creativity through limitations. Boundaries push you to think beyond the usual solutions and send you in different directions. That’s exactly how you end up with unexpected and extraordinary ideas. Take three 'DO' cards that define a unique imaginary project. You need to come up with a solution for this project. 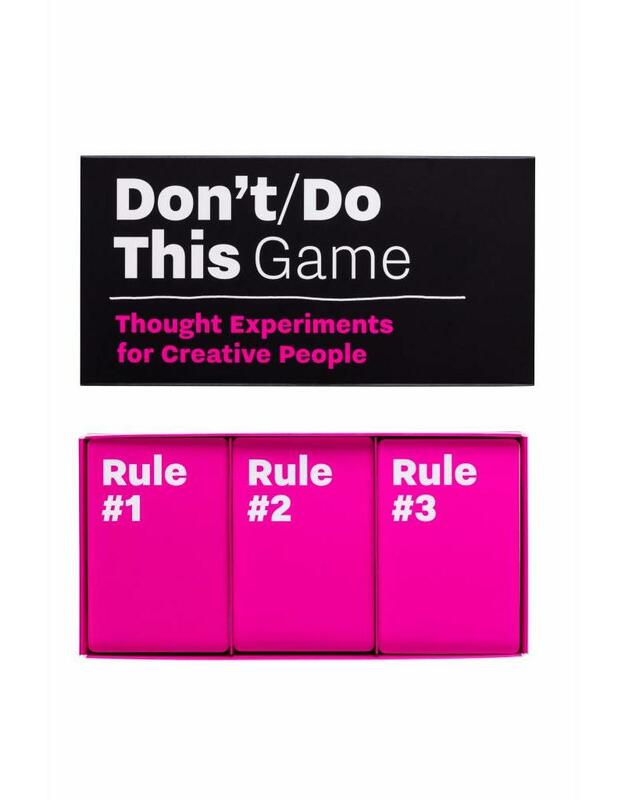 But you also receive three 'DON'T' cards, which provide a set of rules. 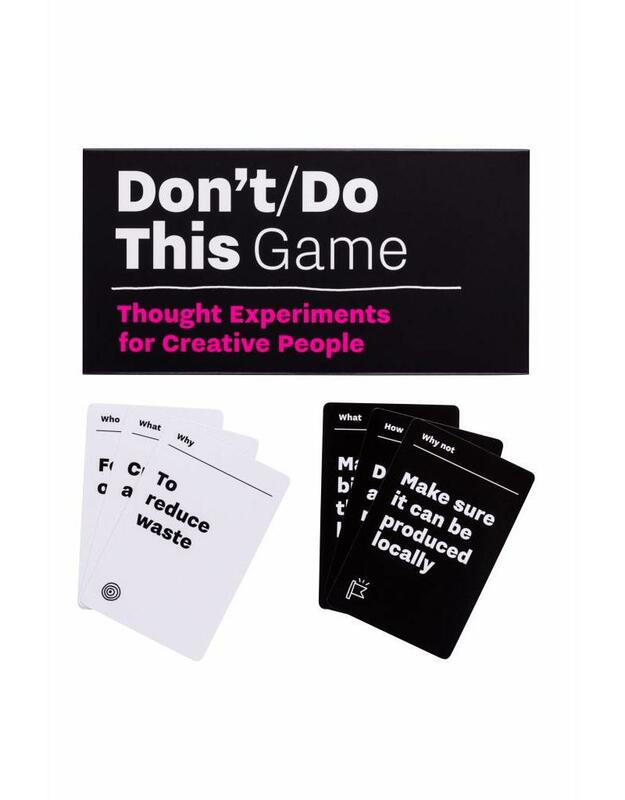 The 'DO' and 'DON'T' cards make you think differently than you normally would. In the beginning, the rules might feel like a big obstacle. But once you start playing, you will see that limitations also give you possibilities. Rules make you think about loopholes. Play this game alone, together or in groups — for fun, to break the ice in a meeting or to get inspired when you're stuck. Donald Roos is an independent typographic designer, entrepreneur, and teacher at the Royal Academy of Art in the Netherlands. In his daily life as a designer, he creates movie titles for motion pictures and national television. He also designs complex interfaces and teaches type design and typography. He also published Don't Read This Book with BIS Publishers. 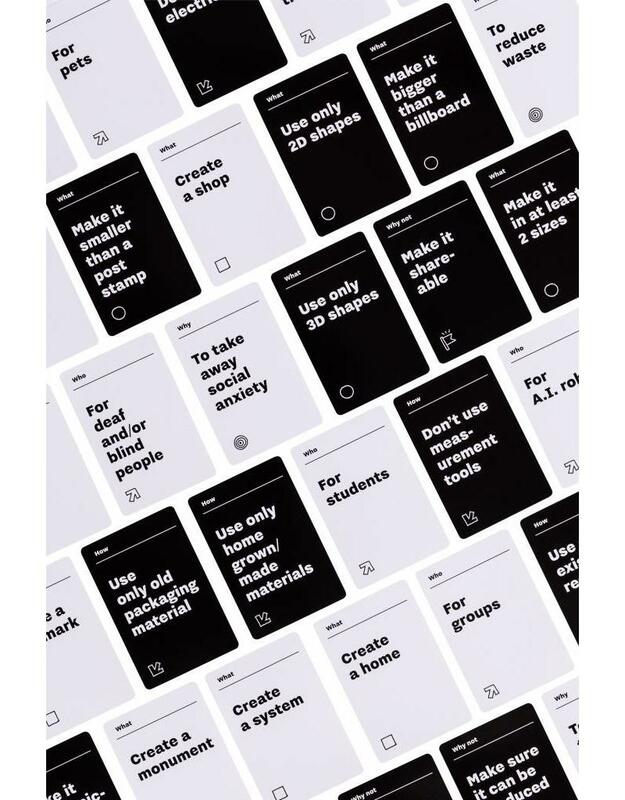 "Fun, but also challenging tasks in this Design Thinking inspired game"
Quote Scroll down for the Time Management for Creative People bundle: € 35,- for three titles!